Yahoo is showing Twitter avatars in their search results. I discovered my Twitter avatar while researching Yahoo crawl rates for my blogs and primary web site. 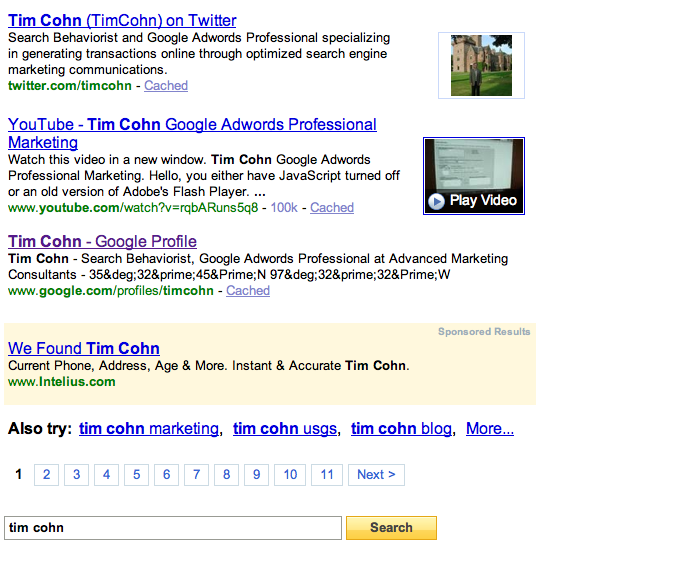 However, I wasn’t able to find any other Twitter accounts displaying their avatars in Yahoo search results. This entry was posted on February 28, 2010 at 7:55 pm and is filed under Twitter Avatars In Yahoo Search Results. You can follow any responses to this entry through the RSS 2.0 feed. You can leave a response, or trackback from your own site.